If I wasn’t doing this I’d be a: senior leader of a company in any related hospitality business. Either hotels, resorts, golf courses, or any type of tourism business. I would choose that field because it is all front-line service, and that is what I really enjoy. Training front-line staff, monitoring their performance, and measuring customer service success is something that I do enjoy and would enjoy in those types of businesses. Most impressive person I’ve ever met: Paul McCartney. He was so down to earth, so humble and even showed interest in what I was doing. It was a 10-minute session at best, but he was just an amazing guy. One of the few artists that were appreciative of what he had and not who he was. I unwind by: playing golf. I love to walk the courses, be with friends, and be in the fresh air. As frustrating as the game might be some times (and it is frustrating! ), you just have to remind yourself that you are very lucky to be where you are that day. You have your health, your family, and friends, and the ability to enjoy aspects of life that others do not. On my desk right now is: way too much paperwork! A bunch of projects are all coming due and just getting through those has generated more paper than normal. I also have a couple of Facility Manager magazines which I haven’t got to yet and a few Sports Business Journals still to read. 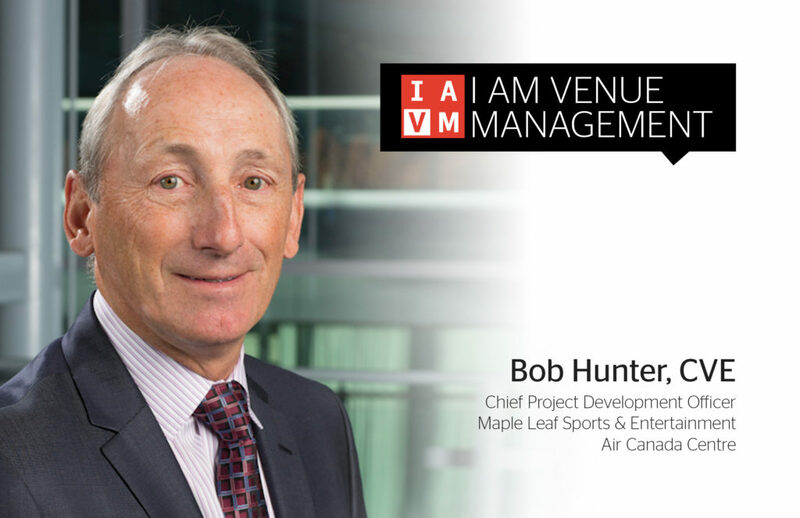 My favorite IAVM program/conference/event/session I ever attended was: the Arena Management Conference a couple of years ago in Tampa. There were some great speakers and really interactive sessions. I was also involved with the Arenas Committee at that time, and it was a very busy but inspiring few days. Plus, the weather, the golf, and the hotel were all great. If I were on the other side of the seats, I’d be: an ardent basketball fan. Most people think that Canadians are only into hockey. Not so true anymore. The diversity of our country lends itself more to basketball and soccer fans, especially when new Canadians are from nations where hockey is never played. So, although born here, I took to basketball so much quicker than hockey, and I REALLY don’t like the cold! One trait an up-and-coming venue manager should have is: to always outwork your boss and outwork your peers. Although that may seem a little old fashioned to the millennial generation, I believe it demonstrates your passion, commitment to your work, and your seriousness about getting ahead. One up-and-coming venue star in the arena industry is: Vince Bozzo, the general manager right here at the Air Canada Centre. Although still quite young, he has been in the business almost 20 years. Vince is a dedicated, passionate, loyal employee who brings the right attitude to work every day. He has common sense, a practical approach to almost every issue and simply just gets it. One of my goals for this year is to: work smarter. I truly want to improve my technology understanding and be more efficient in today’s IT driven world. I believe, maybe, maybe not, that it should allow me to work less. And, yes, like everyone else, would like a little more work-life balance. How do you plan to help elevate the profession? Continue to learn, grow my base knowledge, and then transfer that knowledge through teaching at the VMS at Oglebay. Also, to do more presentations at VenueConnect and at other conferences, which forces you to be a subject matter expert to intelligently pull off those sessions. Where do you see new growth opportunities in the profession? Tough question. Venues need to certainly be developing their talent from within their organizations and committing the necessary time and resources to send their employees outside the organization for continuing education programs. That is what keeps your employees happy. Who are three people you’d invite to a dinner party and why? Are you kidding? Donald Trump would be number one. It was would be the most interesting couple of hours. PINK would be number 2. I met her a few years ago for a short few minutes, and she was so amazing. Friendly, outgoing, interested in what YOU had to say and not her. A fine Lady. Third would be Morgan Freeman. I have just always admired his acting and appreciated what a great talent he was.